The introduction and rapid rise of cryptocurrencies as a means of exchange and store of value has given cause for consumers, banking institutions and regulators to rethink their understanding of money. While cryptocurrencies have the potential to be widely adopted as currency in the long term, a lack of price stability has resulted in a breakdown in trust and a slowing in broader acceptance. “Cryptocurrencies are here to stay, in one form or another,” Craig Penfold, founder of independent cryptocurrency consulting firm blox advisory, told a Gibs Forum on the economic implications of cryptocurrencies. Penfold believes, however, that distributed ledger technology or blockchain, which underpins cryptocurrencies, as well as Initial Coin Offerings or ICO’s, have broader applications for business. Bitcoin is the most well known and broadly adopted of an estimated 1400 rival cryptocurrencies, including Ethereum, Litecoin, and Monero. It was the first cryptocurrency to be based on blockchain protocol and has the most established ecosystem. However, debate continues as to whether cryptocurrencies could form the basis for a widely accepted payment system. Bitcoin’s notorious price volatility, which has seen it fluctuate from $1000 (about R12 000) per coin to an all time high of $19 783 (about R237 635) per coin in the past 12 months alone, is one of the reasons businesses remain reluctant to accept the currency as tender. Penfold said the present form of Bitcoin needed revision in order to ensure price stability and for the currency to gain broader acceptance. The three functions of money, he explained, were to act as a means of exchange, a store of value over time and as a unit of account, the money of business. However, the price instability and volatility inherent in Bitcoin meant that it was not an effective store of value or unit of account. While the supply of Bitcoin is restricted to a total of 21 million coins, thereby implying a dictated scarcity, demand for the cryptocurrency and its price are largely driven by technology, recent moves towards regulation and media events. Penfold agreed that while Bitcoin functioned well as a tradable asset, it wouldn’t become accepted as a unit of currency until there was a level of price stability. When asked how stability could be achieved, he argued that Bitcoin in its current form was only the first potential iteration. 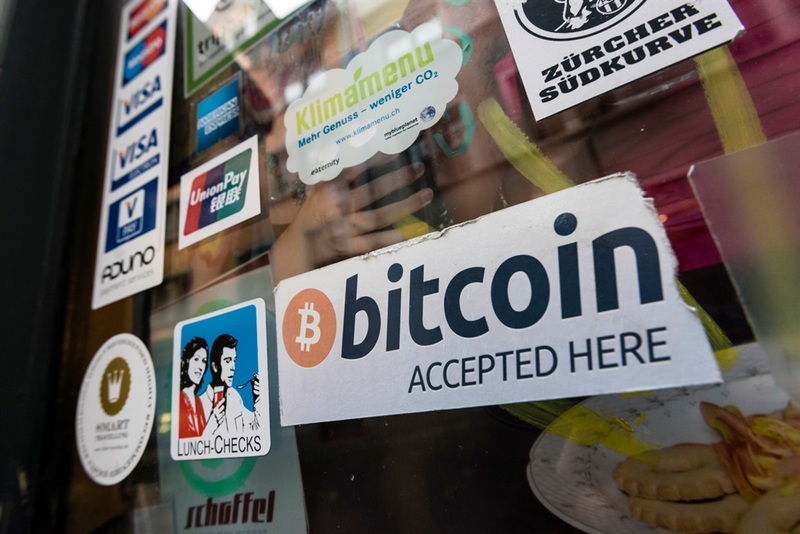 While Bitcoin had, to a certain extent, become a medium of exchange for the internet, and had achieved a level of decentralisation for the authentication of transactions, Penfold said its separation from banks, central banking authorities and states was under threat as more countries look to regulate the use of the cryptocurrency. He said institutional investor participation in cryptocurrencies in the coming year would be a trend to watch, as well as the new potential regulatory frameworks likely to be introduced as central banking authorities and the Securities and Exchange Commission scrutinise cryptocurrencies and ICO’s. As a result, “the crypto community is beginning to look at how it can better self-regulate as a reaction to the regulation that is coming, which could destroy much of its value,” he added. Another likely development is tethered currencies, whereby a digital currency is pegged to a fiat currency, such as the dollar. However, this is “counter to the Bitcoin philosophy, as it still places trust in institutions run by human beings, rather than in algorithms,” Penfold explained. Interoperability, or how all cryptocurrencies interact “is key” to the future of the asset class, Penfold said, as the 1400 current digital currencies continue to proliferate. Blockchain technology, the distributed ledger technology underpinning cryptocurrencies, which is an open source platform with the irreversible and unalterable characteristics of a closed network, holds potential benefits and usage opportunities for business. “Blockchain is a phenomena all on its own, but it is not the silver bullet answer to all issues. The real applications of the technology are where there are trust issues,” Penfold explained. Current blockchain applications include a partnership between IBM and Walmart to apply blockchain technology to ensure the safety of the food supply chain. Educhain, an education-focused blockchain startup enables the instant authentication of digital qualifications and academic records for business and government. De Beers’ Everledger makes use of blockchain technology to register and track gems as they are mined, eliminating conflict diamonds from the supply chain. The applications for blockchain technology, particularly in the health and education sectors in emerging markets were significant, Chiba added. “Blockchain is a huge opportunity for South Africa and our challenges,” he concluded.